GET ready to peer into the unknown. This week, we will have our first chance to take a picture of the supermassive black hole at the centre of our galaxy. The image could teach us how black holes work and even how the largest and smallest forces governing the universe fit together. The Event Horizon Telescope is switching on. 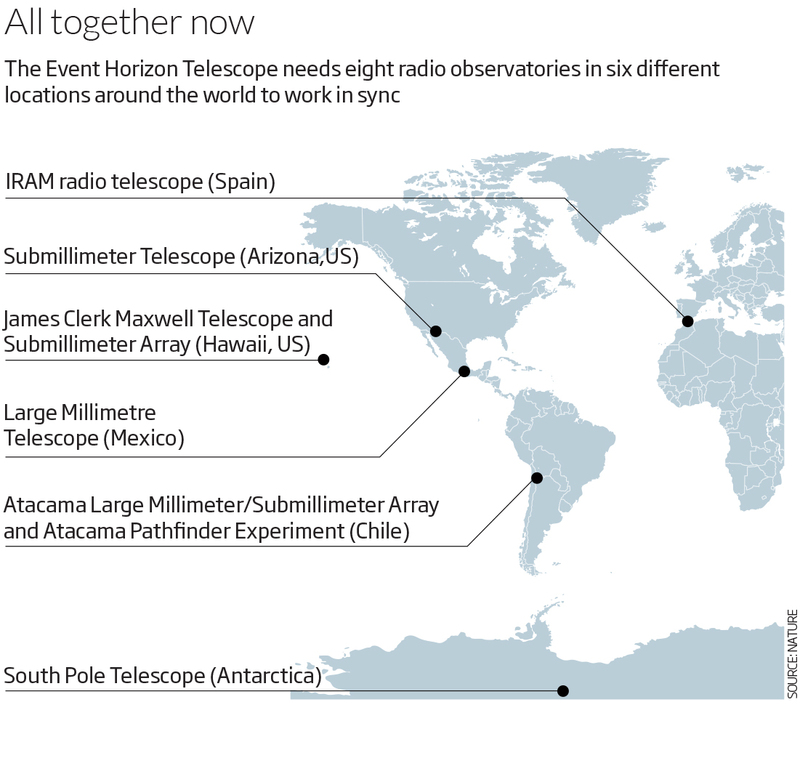 It consists of eight radio observatories around the world, including telescopes in Spain, the US and Antarctica (see map). And for just four or five nights between 5 and 14 April, if the weather is clear at all of the observatories, they will all turn on at once. Each telescope will point at Sagittarius A*, the supermassive black hole at the centre of the Milky Way, and measure every radio wave coming from its direction. Linking together observatories spread across such a huge area and combining their observations to filter out extra light will effectively create a powerful “virtual telescope” almost the size of Earth. These telescopes will together capture sharper and more detailed data than we’ve ever had from Sagittarius A*, which we still know very little about, as well as the larger black hole at the centre of nearby galaxy M87. With the telescopes generating a total of 2 petabytes of data per night – enough to store the full genomes of some 2 billion people – astronomers hope to take the first image of the event horizon around a black hole, and the bright matter hurtling around it. The actual images may not be processed and ready for publishing until next year, but simulations mean that the team has a decent idea of what they should see. Even light is bent in the intense gravity around a black hole. The side of the black hole rotating towards Earth should feature a bright crescent of light warped around its edge, while the side rotating away will be dimmer. Once they can study that “banana” of light for the first time, researchers hope they will be able to clear up some of the long-standing enigmas of black holes. One such puzzle is how some supermassive black holes, like the one in M87, generate the enormous jets of particles that shoot from their centres at near the speed of light and where all that energy comes from. As other telescopes are added to the network in coming decades, observations of the black holes will become even more precise, and should provide fundamental insights into the workings of our universe. One of the greatest mysteries in modern physics is how Einstein’s theory of general relativity, which covers gravity and the behaviour of very large objects, meshes with quantum mechanics, whose realm is the very small. “If you create an image at a resolution you’ve never had before, you might see things that you’ve never even thought of,” says Stefan Gillessen at the Max Planck Institute for Physics in Munich, Germany. 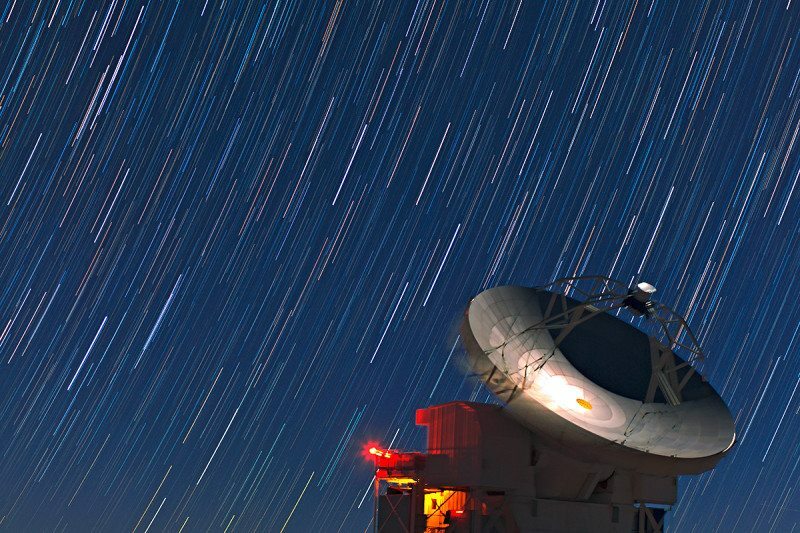 The Event Horizon Telescope’s first run should prove that event horizons really exist. Future runs could help us understand the basics of our universe.